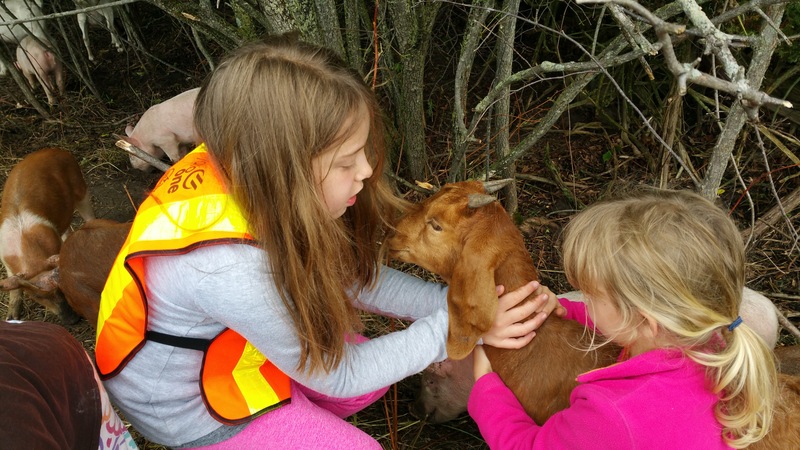 We have goats for serious purposes – mostly control of brush that is threatening to take over our pastures and the sale of surplus goats (usually males) – but, like so many goat owners, we confess that most of the time we feel that it is fun to have them around. 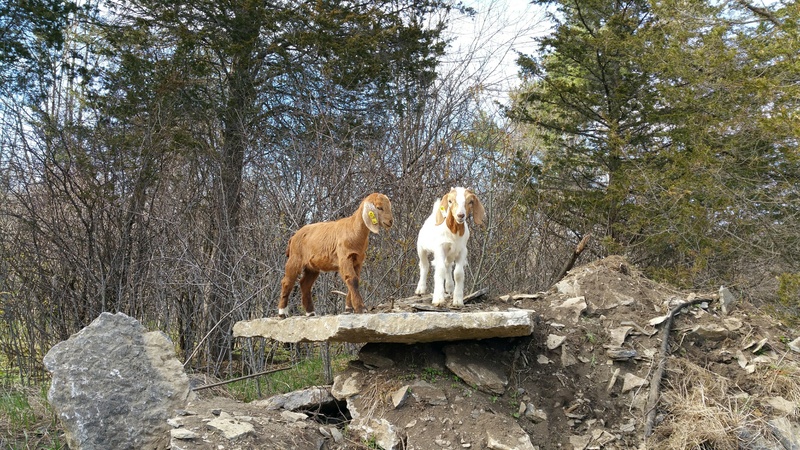 They are such characters and are often so playful that we can watch them for hours. It is usually the kids that are playful but the adults can be entertaining at times also. In the first video, the “queen” of our little herd, known as “Bossy” because she dominates the others to such an extent, embarrassed herself by insisting on sticking her head into the new mineral bucket and not being able to get it off. It is usually the kids who love to play fight but in the following video, “Bossy” got into the fight with our oldest little buckling. They were in a lovely, partially wooded paddock with a large tree trunk that made an excellent play ground. 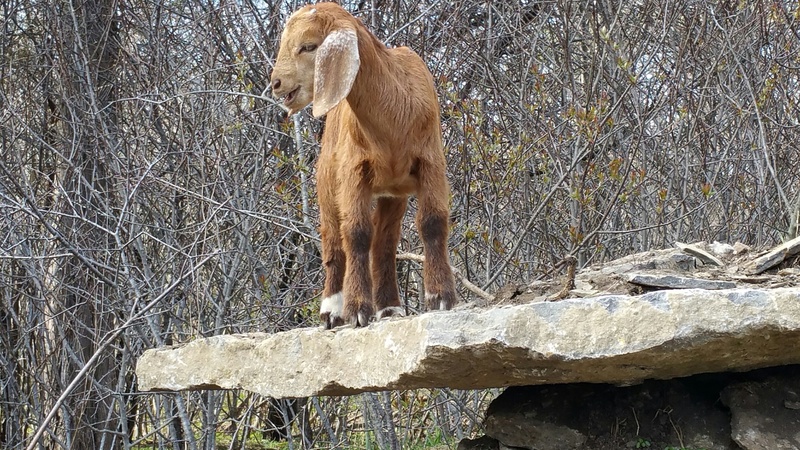 “Silver ears,” the shyest of our three little doelings, on the ledge.